The performance appraisal process, that stalwart of modern performance management practice, now finds itself on shaky ground — but why? Two separate studies from Cornerstone OnDemand and Globoforce show that just over half of employers feel that appraisal feedback is not fair or accurate, and Globoforce found that people who think appraisals are inaccurate are twice as likely to leave their companies. The business benefits of appraisals are also hardly conclusive: while studies show that appraisals improve performance on average, they also find that around 30 percent of appraisals can lead to a decrease in employee performance. When appraisals take place as close the appraised event as possible, the behavior is fresh in everyone’s mind. Research from Bersin by Deloitte shows that employers that have monthly performance reviews deliver 31 percent greater returns on investment than those that don’t. The Globoforce study mentioned above also found that the vast majority of employees want feedback as soon as possible, so implementing appraisals on a regular basis is a win-win for employers and employees. Seventy percent of employees want employee reviews that help them develop and grow, but do managers approach reviews in the same way? Typically, employers use reviews as short term sticks and carrots, but this approach is not sophisticated enough. Appraisers should learn about an employee’s career and personal development goals and provide positive and negative feedback within both the context of the employee’s current job and the context of the employee’s long-term career ambitions. Appraisals that provide both personal and career development visions for the employee are far more motivational than short-term, stick-and-carrot appraisals. These appraisals show that an employers cares about how their employees will reach their careers aims. The Globoforce study showed that employees see positive feedback as more motivational, so employers should try emphasize positive feedback in the appraisal process. Appraisals should incentivize improvement, not beat staff members down. Emphasizing positive feedback doesn’t mean supervisors can’t address negative feedback; it means that they should avoid threatening employees if they fail to develop and instead should focus on rewarding employees if they do develop. 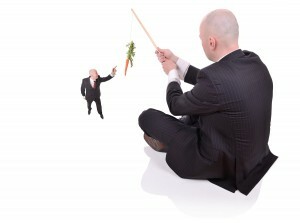 Many studies, including this one from Michigan State University, show that “carrots” motivate more than “sticks.” It should also be mentioned that placing an emphasis on “carrot” incentives will help to remove the climate of fear and anxiety that surrounds appraisals, as employees will see them less as acts of criticism and more as opportunities to improve. Incorporating these three ideas into a company’s current appraisal process can help to develop a more effective review process for both employees and employers.